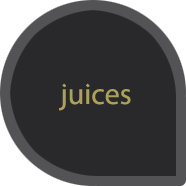 Nutritional juices made from tasty and ripe fruits from Greek producers. 100% natural juices, without added water, sugar, colorings or preservatives. A glass of juice daily, giving all the necessary vitamins, improves the mood and offers rejuvenation, wellness, balance and good health.